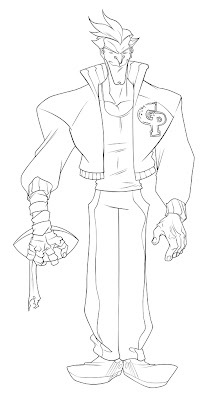 An older character from the opening stages of Game pointe. Flash is a jerk but he has the responsibility of being one of the captains for his group. Casey had his doubts about this design but is has much more attitude than his original sketch.